A legal subscription service for nonprofit organizations. Add a lawyer to your team and safeguard your mission. 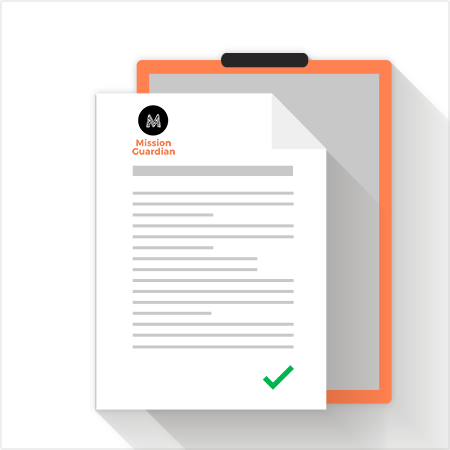 The Mission Guardian Program is an innovative legal subscription service. Birken Law Office clients who become members have an attorney by their side – vital for success as a nonprofit. This program offers services in a new and proactive way that promotes sustainability. Nonprofit clients of Birken Law Office may apply to become members. The program has three levels to ensure each member gets services that are right for you. These aren’t good, better, best – each level is the right fit for where you’re at in your nonprofit journey. Designed for brand new nonprofits – specifically the first founders starting an organization. This membership walks you through becoming a nonprofit organization. Lay a solid foundation and show funders and donors you’re an organization they can rely on.. When you move beyond the startup phase, this membership is the just-right fit. Nonprofits as businesses have more in common legally with a Fortune 500 corporation than a lemonade stand. Are you…dealing with fee for service programs? Selling stuff, fundraising, or dealing with real estate issues? Volunteer management, human resources, grant money, etc.? Get the protection and guidance you need. Experienced organizations know they need to budget for legal. You can predict a certain amount of necessary risk management. Keep your organization stable and growth minded with this package. An annual board meeting attendance is included along with our comprehensive risk assessment which puts the board and staff at ease – you’ve handled the due diligence. We’ll help you stay focused on sustainability and mission delivery. All memberships include a $75 one-time “launch fee” at the time of registration.